Whether it is winter or not, slight leakage in the heating unit and boilers can cause a hell lot of trouble right in the middle of the night. Poor heating, bad odour and short circuiting are common things that occur with a faulty ductwork installation, but it can all be prevented. 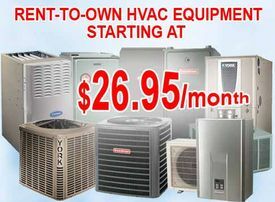 Here are some quick pointers on things HVAC contractors Toronto offer in addition to Air conditioner installation and furnace set ups. One secret behind the respectable efficiency of the furnaces for sale in Mississauga is the regular filter inspection and replacement by the specialists. The filter works in tandem with the air induction pump that pulls the external air inside. If you have kids and pets at home, your filter replacement should be done every fourth week to ensure there are no traces of allergens, dust and other participants. The replacement frequency for different filters is as follows. If you have a regular thermostat in place, try installing a new-age speciality thermostat programmed for maximum comfort and optimised comfort at all times. Be it in summer or during winters, programmable thermostats automatically regulate the ambient temperature based on the number of people in the room, time of the day you are using the HVAC units and the amount of radiation received from the sun. Some thermostats also take into account the moisture in the room, while indicating any leakage or opening in the windows/doors. HVAC contractors in Toronto offer technologically advanced thermostats that actually “learn” the ambient settings as and when you use them. Ducts and vents are susceptible to multiple problems, even before the heater operation begins. Due to difference in the temperature inside and outside the ducts, there could be corrosion and cracks from the inside. Since these cracks are not visible to the eyes, insist on getting a good inspection done before the colder months start. If you have already used a rented furnace for sale in Mississauga in the past, get the idle vents checked for deposits, silt, metal shards and pest infestation. Unused vents and ducts often become an abode for birds and pests for laying eggs. There could be dead parts and wastes along the duct. Get them cleared before you start the air supply. The first burst of air flow could carry bad odour and also unhygienic amount of debris. Quality of ductwork installation done by HVAC contractors in Toronto, Mississauga, Ottawa and other parts of the country depends on the materials and technology used in sealing and insulation. 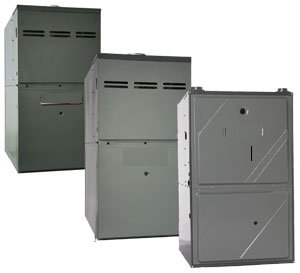 All furnaces for sale are marked with standard insulation ratings to ensure quick replacement. Timely servicing not only saves cost of operation but also ensures that the customers using rented HVAC units get superior comfort even in coldest of seasons. A quick assessment of the furnace and boiler installation together with some timely maintenance saves money and hassle around replacing a heating system in Toronto.